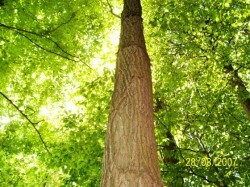 The Robinia: Gorgeous and Extremely Resilient. 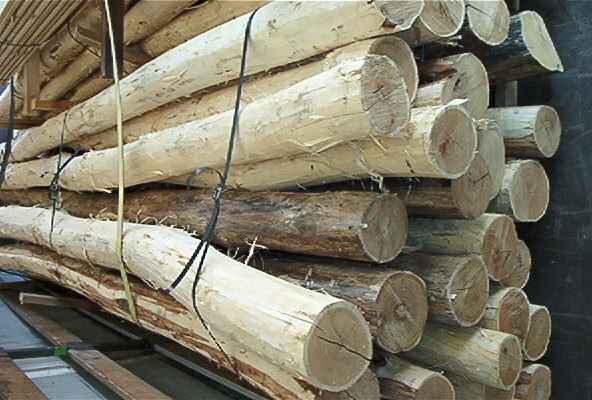 Other trade names: (Falsche) Akazie (D); Robinier, faux acacia (F); Robinia, false acacia (GB); Fehér akác (H); Robinia, agagia (I); Locust, black locust (USA). 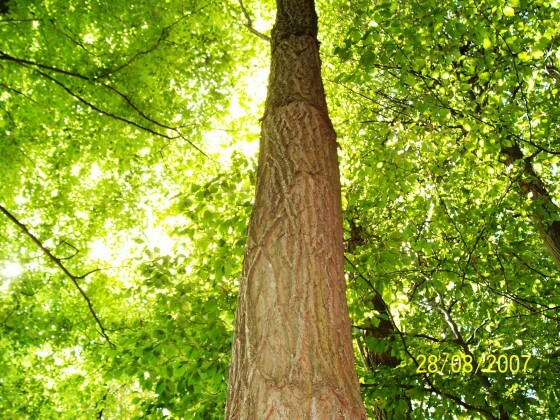 Form of the trunk: Mid-size tree of 12 to 25 m, maximum 30 m height and 30 to 60 cm diameter, knotless lengths mostly relatively small, from 2 to 6 m, in a closed population up to 10 m; often crooked, partly non-circular and buttressed. Planned selection and silvicultural tending strategies in plantations can positively influence the form and dimensions. 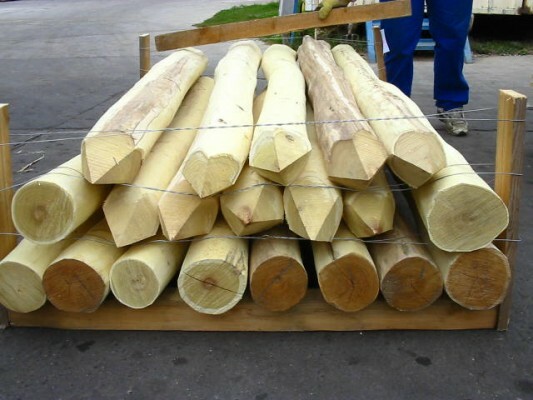 Colour and structure of the wood: The sapwood is white or light yellowish and in case of older trees very narrow; the heartwood is yellowish-olive or light brown in a fresh condition, it darkens to golden brown or light leather-brown under the effect of light. Pores in the early wood are rough and arranged circularly (ring-pored) and embedded in a pale soft tissue, tangentially as prominent light curled spots and radially as light, fine stripes defining the picture of the wood; with strong tylosis. Pores of the late wood are considerably smaller, partly individually, partly arranged in small clusters and connected through pale soft tissue partly to short, wavy tangential or diagonal groups. Overall nature: Olive or golden brown, attractive wood strikingly structured through pore rings of the early wood in all cutting directions. Variations: Often irregular fibre orientation, depending on bending and excentric growth.